. إن الخدمات الممتازة وحسن الضيافة العالي في Central Gateway Motel تجعل إقامتك تجربة لا تنسى. يمكن للنزلاء الاستمتاع بالميزات التالية: واي فاي مجاني في جميع الغرف, واي فاي في المناطق العامة, صف السيارات, خدمة الغرف, خدمة غسيل الملابس أثناء إقامتهم في هذا المكان الرائع. ادخل إلى واحدة من الغرف 8 وتخلص من عناء نهار طويل بمساعدة مجموعة كبيرة من الخدمات كمثل تلفزيون بشاشة مسطحة, اتصال لاسلكي بالإنترنت, اتصال لاسلكي بشبكة الإنترنت (مجاني), غرف لغير المدخنين, مكيف هواء الموجودة في بعض الغرف. كما أن مجموعة الخدمات الواسعة الموجودة في الفندق لضمان راحتك تترك لك الكثير من الخيارات لقضاء وقتك أثناء فترة إقامتك. إن Central Gateway Motel هو خيار ذكي بالنسبة للمسافرين إلى كرومويل، بما يوفره من إقامة هادئة ومرحة. I would stay there again. The location suited us, as we had family who live in the same street. Is close to the Historic area of Cromwell and Polytech. The room was very comfortable and ample Wifi access is provided. 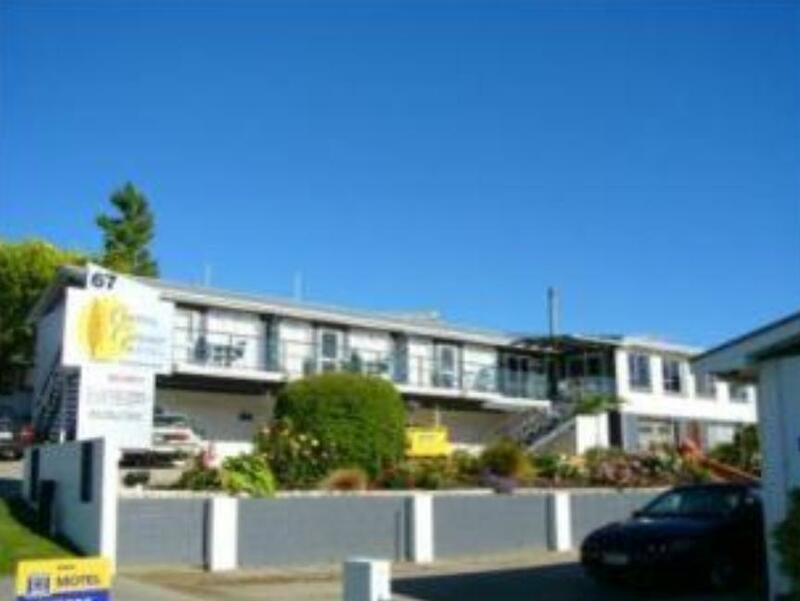 It is an older motel, but it is clean and tidy. There is an a BBQ area and a park with play equipment just a very short walk away, which would suit families. The kitchen area has a full stove and oven, full size fridge,and microwave as well as ample cutlery and crockery. The bathroom is HUGE and has a separate toilet. 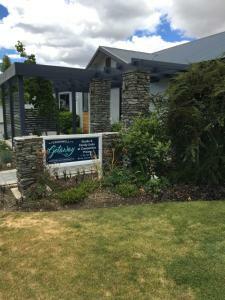 Cromwell is a small town and the town centre is in walking distance or a short drive away from the motel. The staff are very friendly and helpful. The motel offers a cooked breakfast menu as well as the option of a continental breakfast, delivered to your room the night before.Really enjoyed our stay there. Room was warm and ready when I have arrived late at night. Staff very friendly and great location too. Really good, Motel was handy to all amenities and was very clean & Tidy. Staff were very helpful with directions and very welcoming. Would definitely stay again. The counter staff is very friendly. I asked where is the post box and he offered to post the mail for me. He didn't even charge for the stamp. 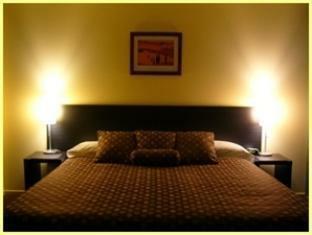 the location of the motel is slightly away from the town center but it's great for those who prefer a quieter location. however, the motel is close to the cromwell old town. you will need a car to roam about in cromwell, especially at night. the owners were really friendly and they upgraded us to a stand-alone chalet unit, which includes full kithenette, double bed with electic blanket, a cozy small dining table and a big toilet. we merely paid about for night's stay, which is really value for money. as my friend and i visited in the middle of winter, the whole of cromwell was almost like a ghost town. there are some small resturants, a supermarket and a petrol station in the town center. it is about half an hour drive to queenstown and there are quite alot of fruit farm, a winery and cheesery along the way. if you are heading downt to dunedin, remember to top up your petrol first. The room was small but comfortable, small area just outside for relaxing with a wine. Free Internet coupons. Very quaint hotel with fantastic service ! The owner drove all the way to the breakfast place to find me to hand me a pair of shorts I left behind. He knew where to find me because I asked him where a good place to have breakfast was. The room was also very quaint, big and nice, he gave me a private little area with full facilities. It looked like a little apartment. Loved it. Clean and well equiped motel. A good kitchenet. A nice bathroom. A very pleasant stay. Rooms were clean and modern with a well equipted kitchen. bathroom nice and modern. Staff friendly and helpful. we arrived late afternoon, and were greeted with a friendly smile and and an efficient check in. as we were visitors to the region, we asked for and were given an open and honest appraisal of some of the local dining venues. this was later backed up with consequent discussions with some of the local residents we approached. i would gladly stay at the central gateway motel, should we have the opportunity to transit cromwell again. Vriendelijke ontvangst, ligging motel kortbij Old Cromwell, heel rustig.